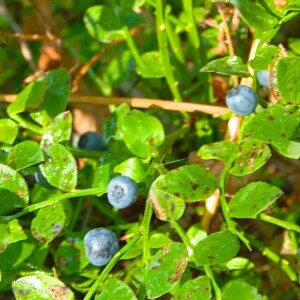 About a week ago, I got a call from my three-year-old nephew, who told me – very excitedly and ever so loudly – that the wild blueberry bushes in the forest behind his parent’s house were all laden with berries! With his two-year-old sister urging me to come and join them on a fruit picking expedition in the background – apparently already enjoying a fistful of berries judging from the sound of her -, how could I possibly refuse? And, more importantly, why would I ever want to refuse? So the Rocking Rebel and me quickly hopped into the Chevy and raced to my sister’ place. Hell, we didn’t even stop and think to change out of our white T-shirts! And fifteen speedy minutes later, we careened – okay, perhaps not careened… we rather crept (the Chevy was born in the 70s and my boyfriend is a very laid-back driver) – around the corner of my sister’ street and were immediately jumped by a bunch of very happy kids. A few moments later, we all trooped into the forest with measuring cups and bowls, determined to clear the forest of anything edible (an adjective which, we found out, should best be avoided around a two-year-old with an adventurous nature). And my nephew was right. 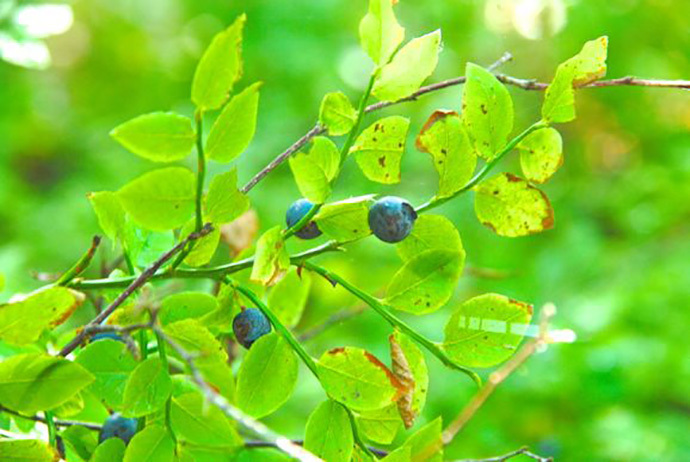 We didn’t have to take two steps into the forest to see bushes full of gorgeous, little blueberries! In the end, all the kids under 3 feet tall (with the exception of my baby niece) were purple from fingertips to elbows and had vibrant smears of blueberry juice across their faces from eating the berries. I came out of the forest relatively unscathed, and really didn’t look too purple. My white T-shirt was still a white T-shirt! You could only tell I had been picking blueberries because I looked like I had just gotten myself quite a dramatic manicure. I mean, look at my nails, don’t they look glamorous in the picture? 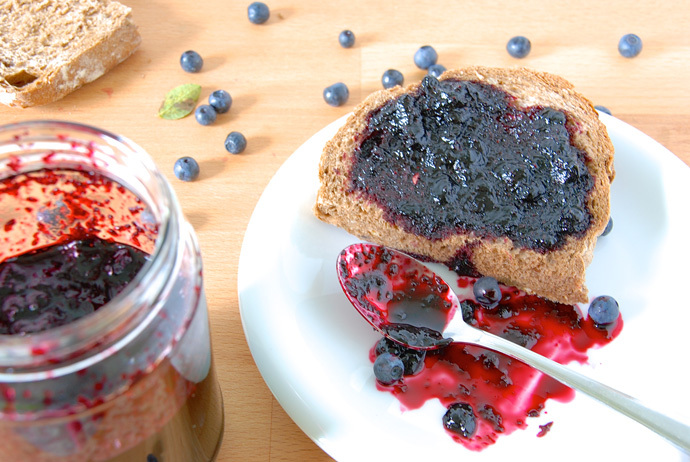 And what makes this blueberry jam wild? 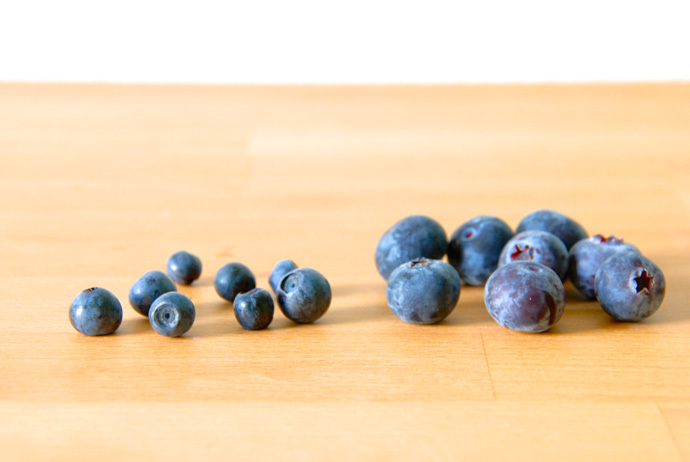 Well, the fact that I’ve used wild blueberries, obviously… But what makes a blueberry wild? Well, if you’ve picked it in the ‘wild’ you can be pretty sure it’s wild. Another indication is the size of the berries. 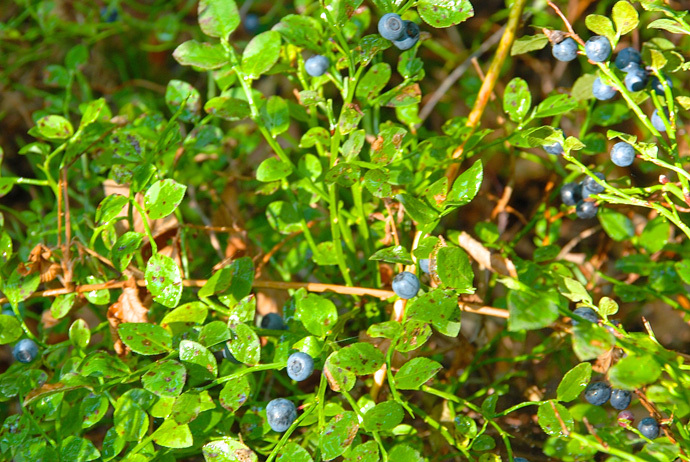 Wild blueberries are generally a lot smaller than domesticated blueberries. Both kinds are equally delicious, although I have to admit I like to use the wild ones because you can pick them right out of the forest, which is fun and makes me feel close to nature – you know, tree-hugging kind of close – and well… because they’re wild! Besides, it doesn’t make sense to buy berries if you can pick them for free in a forest that’s practically your backyard, right? 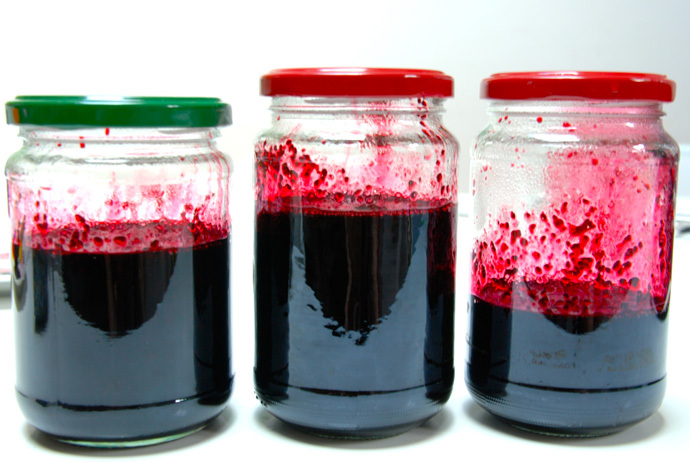 Anyway, to make the jam, first wash the berries and pick off any green bits. Then add the berries to a medium-sized pan. Add some sugar and give it all a good stir so that the sugar covers the berries. 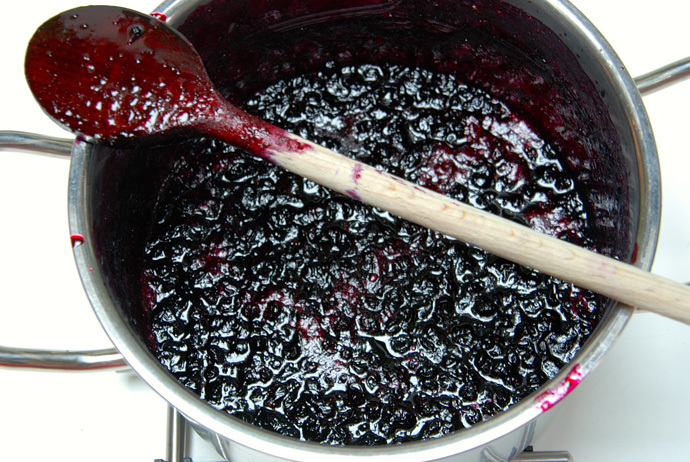 Usually when you’re making jam, you use equal amounts of fruit and sugar, but you can also play around with the quantity of the sugar a bit, to make the jam less sweet. 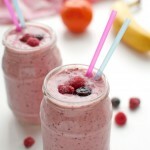 For this recipe, I reduced the sugar by 20%, and the result was spectacularly tasty! Heat the berries over low heat, stirring continuously with a wooden spoon, until the sugar has dissolved and the berries have started to release their juices. Cook the berries for about 10 minutes, until you can easily squash them against the side of the pan with your spoon. Then check the jam for setting point by plopping a small amount of jam onto a chilled plate, placing it in the freezer for a minute and pushing your finger through the jam. If the surface of the jam wrinkles when you push your finger through it, it’s done. If it doesn’t, cook the jam for another 1-2 minutes and check for setting point again. Because taking a picture and simultaneously pushing your finger through jam is quite difficult, I don’t have a photo to show you what the push-test looks like, but I don’t think you really need visual guidance. After all, we all know what a wrinkle looks like, right? Anyway, one jar for my sister and her family, one jar for the Rocking Rebel and me and one jar for my mom and siblings still living at home. And just in case you were wondering why we didn’t properly fill these jars, we didn’t because we had to divide the jam over 3 jars and – obviously – didn’t make enough for 3 full jars. I really love this jam! Because I reduced the amount of sugar, it’s not as overly sweet as jams and jellies can be sometimes. This jam has more than enough sweetness to balance out the tartness of the berries, but it doesn’t overpower their delicate, fruity flavor. I also love the fact that it’s chunky, with plenty of discernible berries in it. It looks like you’ve simply squashed a bunch of berries onto your bread. So, in short, just a ridiculously simple jam with a beautiful, summery flavor! Yields about 500ml (or 2 cups + 4 teaspoons) of jam. Place a small plate in the freezer. Sterilize two jam jars by placing the jars and their lids (screw top) in a big pan of water and bringing the water up to the boil. 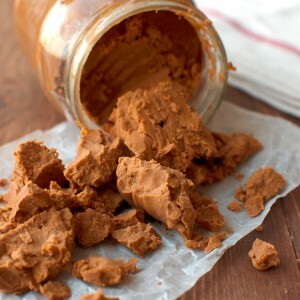 Make sure the jars don't contain any air bubbles. Boil the jars for 10 minutes while you proceed with the recipe. After ten minutes, turn off the heat and leave the jars and their lids in the hot water until use. 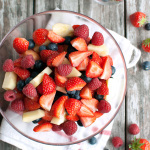 Wash the berries and pick any remaining stems from them. 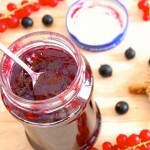 In a medium-sized pan, combine the berries with the sugar and the water. Stir together with a wooden spoon. 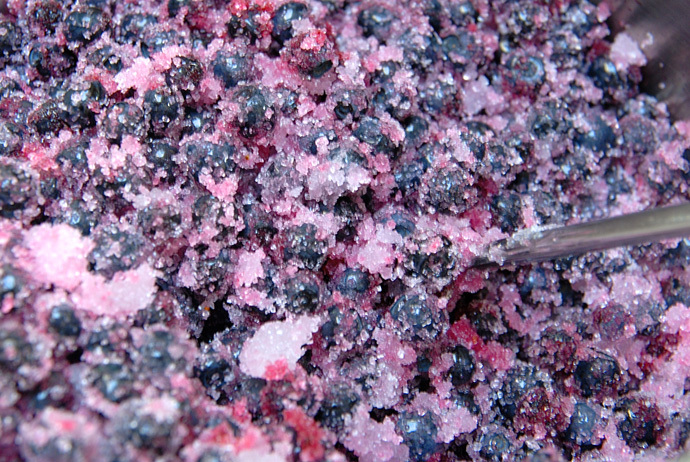 Gently heat the berries over low heat, stirring until the sugar has dissolved. 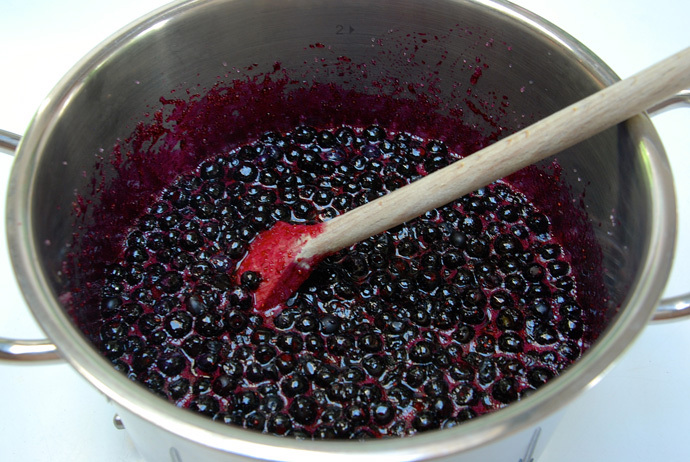 Once the sugar has dissolved, crank up the heat and bring the berries to a boil. 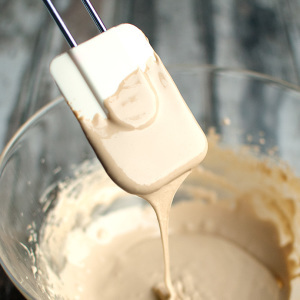 Leave to gently simmer, uncovered, for 10 minutes, stirring occasionally. After 10 minutes, the berries should have softened and can easily be squashed against the side of the pan with a wooden spoon. Take the plate out off the freezer and take the jam off the heat. Spoon a little of the jam onto the chilled plate and place it back in the freezer to set for 1 minute. 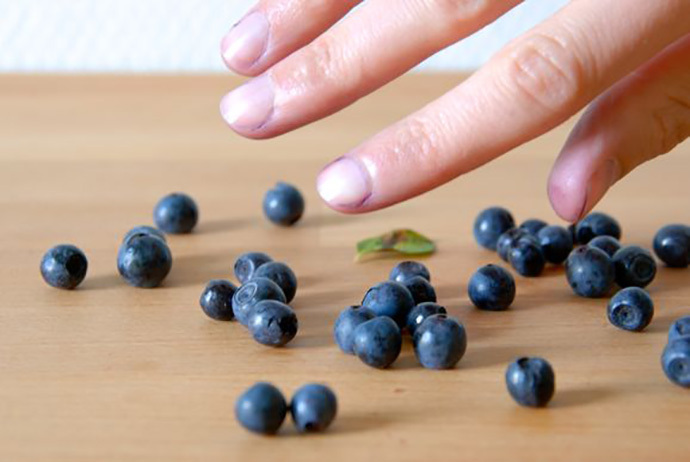 Take the plate out of the freezer again and push your finger through the jam to check if it has reached setting point. If the surface of the jam wrinkles when you push your finger through, it's ready. If it doesn't, boil the jam for another 1-2 minutes and repeat the setting test. Take the jars out of the hot water with thongs or a pair of forks and place them upside down on a clean tea towel. 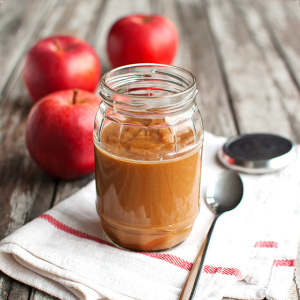 Ladle the jam into the warm, sterilized jars, leaving a 1-cm (¼ -inch) headspace. 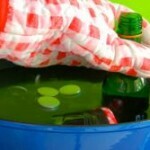 Wipe the rim of the jars clean with a clean, damp cloth, seal the lids and leave the jars to cool upside down. If you don't have enough jam to fill one of the jars all the way up, store the jar in the fridge and use it over the next couple of weeks.